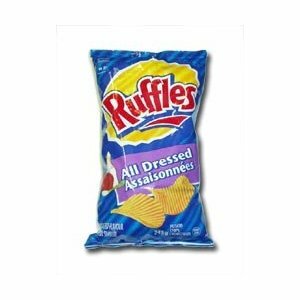 Did you know that “All Dressed” is a chip flavour? Shauna gave me a small bag of all “All Dressed” chips with the hot dog I bought to support Parky’s Peddlers. She said it was for her Dad, Norm, but the thought of these chips in my purse drove me nuts all day and on Sunday I broke down and ate them! Thank goodness it was only a tiny bag and I went directly to the carrots from there. Yes, I have guilt puppies about it! 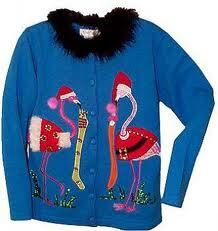 So, no silly sweaters. No fake jewels sewn on. No metallic fabrics. Something that’s comfortable to sit in and makes me look skinny when I’m walking around. I would like a top I can wear over my black pants. Yes, I have 4 pairs of black pants including: the seriously dress pants; the comfy yoga flares, the nice elastic waist cotton ones, the black jeans and the almost-but-not-really leggings. So, I will go hunting to see what’s on sale and buy myself something nice. Then I will come home and make the ever popular cheese balls. Yea for protein! Boo on carbs!!!!! ~ by 1fatgirlshrinking - Diane Kirby on December 19, 2011.